Ideas of a ‘lost continent’ where humans used to dwell that became submerged underwater such as Atlantis have long permeated myth and fables, but there actually are submerged lands where humans previously lived for thousands of years. 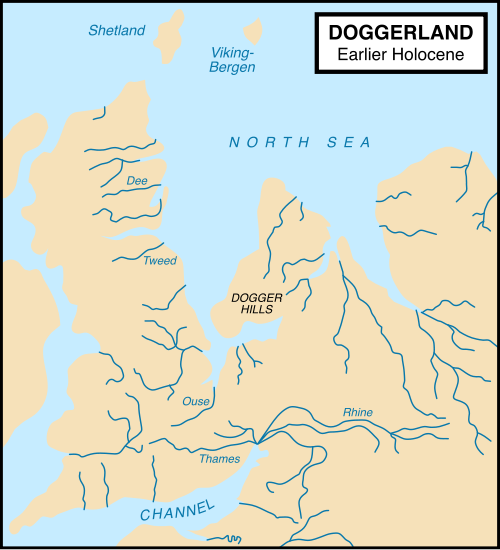 Take, for example, Doggerland, the land mass that occupied the southern half of the North Sea for thousands of years and made the island of Great Britain an integral part of the European continent. Submerged for nearly seven millennia, the inadvertent discovery of a fishing trawler in 1931 helped revealed the prior human history that lay underneath the North Sea. This month, a research team composed of scholars from a triumvirate of Scottish universities (St Andrews, Dundee, and Aberdeen) plus the University of Birmingham and the University of Wales-Trinity St David brought Doggerland into international attention with its presentation of 15 years of collected research at the Royal Society Summer Science Exhibition in London.